Get everything you need to be at your best when you stay at our Comfort Inn North - Air Force Academy Area hotel in Colorado Springs. Our pet-friendly hotel is close to Pikes Peak, Cheyenne Mountain Zoo, National Museum of WWII Aviation, Red Rock Canyone and the Colorado Springs Pioneers Museum. 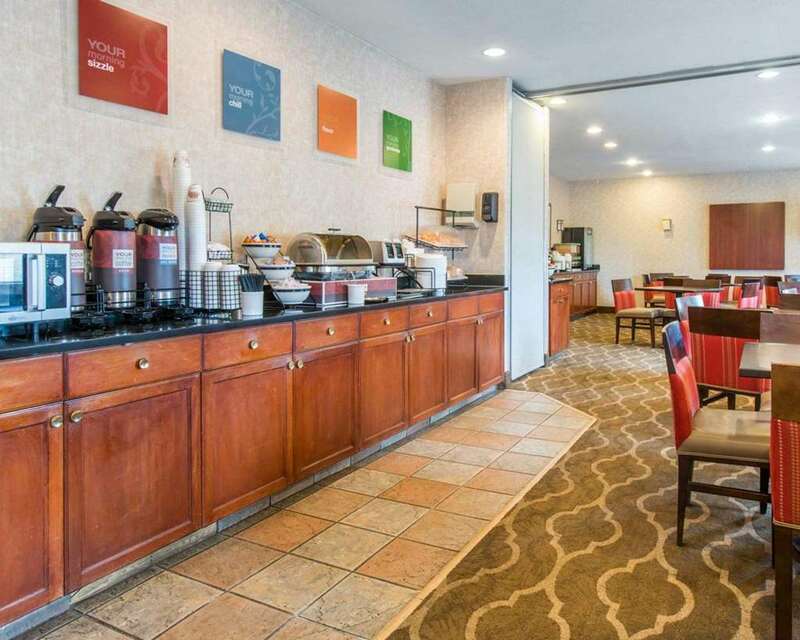 Each guest can enjoy our free breakfast, free WiFi, free weekday newspaper, indoor heated pool, fitness center and laundry facility. Unwind in one of our guest rooms, all of which feature a microwave, refrigerator, coffee maker, TV and a premium mattress. Join our Choice Privileges program today and start earning rewards with your next stay. *Some amenities may require an additional cost.